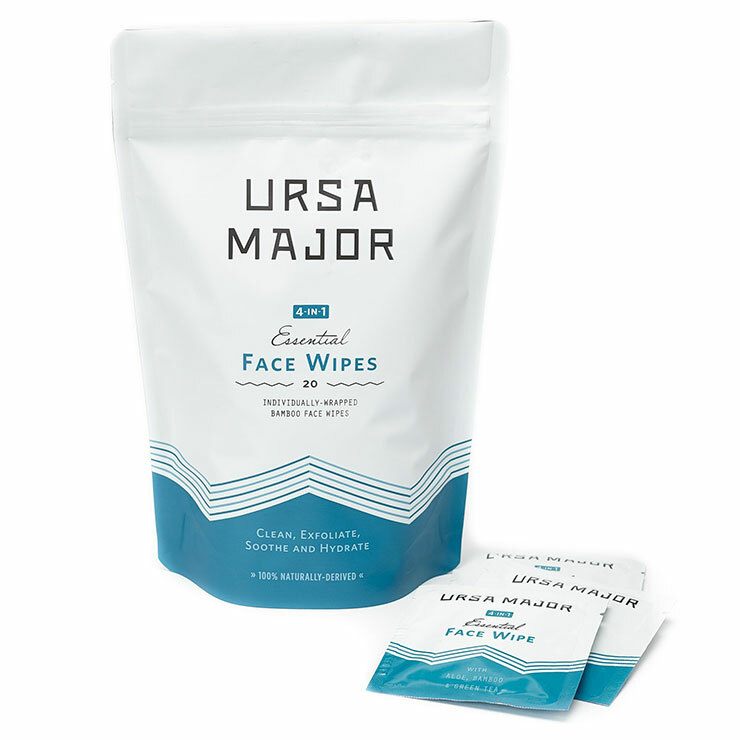 Ursa Major's individually wrapped bamboo Essential Face Wipes are excellent multi-taskers. 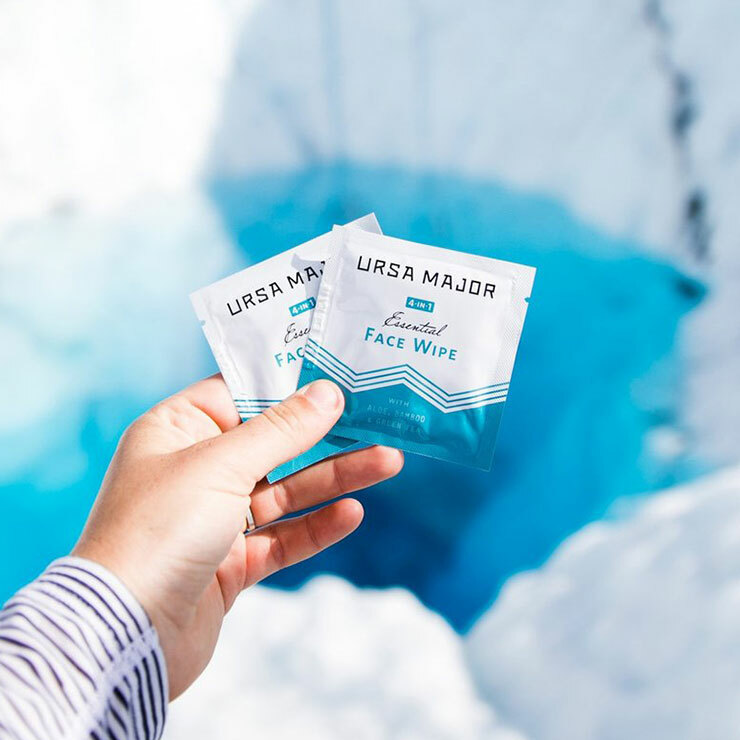 Infused with Ursa Major's 4-in1 Essential Tonic, these wipes cleanse skin, while offering a smooth, healing, hydrating feel. 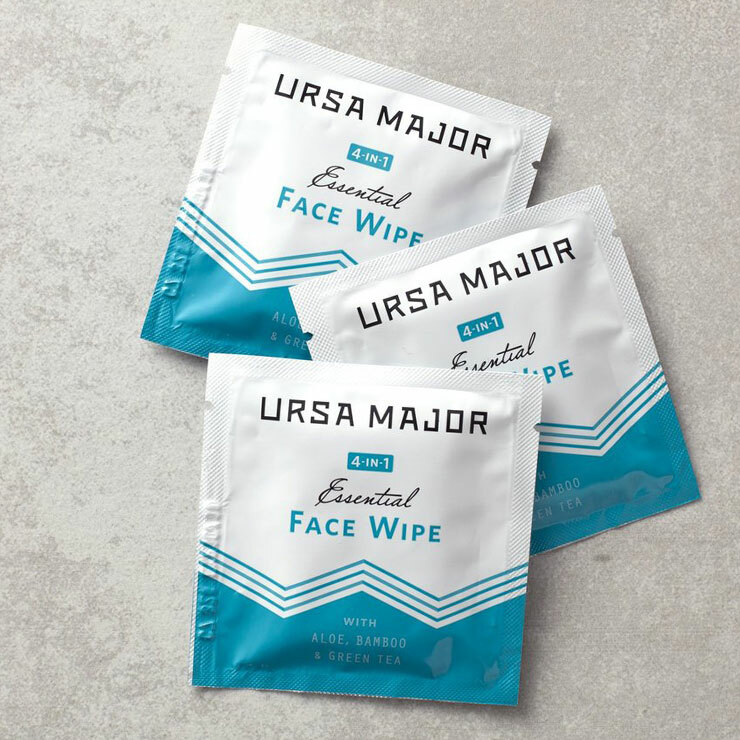 Wipe thoroughly across face and neck. In the summer, store in the refridgerator for extra refreshment.